Mycotoxins are produced by moulds commonly found in grains, mixed feed, forages and bedding. They are generally referred to as being of either ‘field’ (Fusarium and Endophyte toxins) or ‘storage’ (Penicillium and Aspergillus) origin. They are implicated in a variety of acute equine health problems including colic, hypersensitivity, abortions and neurological disorders. Chronic cases can lead to cumulative effects such as damage to organ function, reduced growth, infertility and respiratory problems. 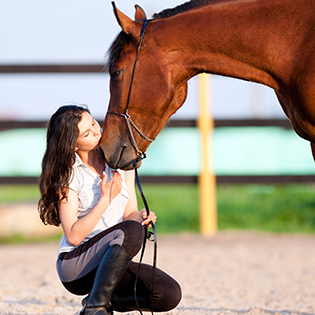 Affected horses can appear agitated with possible head shaking, decreased feed intake and performance. Contact your local Alltech Lienert Australia representative for more information on available equine products or call 1800 649 231.